There’s one area where PC gamers get consistently overlooked: haptics. Haptic feedback (or rumble, in the vernacular) has been a mainstay of console gaming for almost two decades now, and for good reason. Smart usage can both increase immersion and provide invaluable feedback to players, e.g. letting you feel the moment digital tires lose traction on slick asphalt, or warning that an enemy’s shooting at you. There have been a few experiments, like SteelSeries’s Rival 500—a mouse with built-in haptics. But it’s hard to make a mouse with rumble because it’s bound to affect your aim, and keyboards are too large and heavy to effectively produce the effect. That leaves us with headsets. Razer’s the latest company to explore this space, this week revealing the new flagship Nari Ultimate. Get ready for sound that rattles your bones, quite literally. As I said, Razer’s not the first company to explore this haptic headset space. 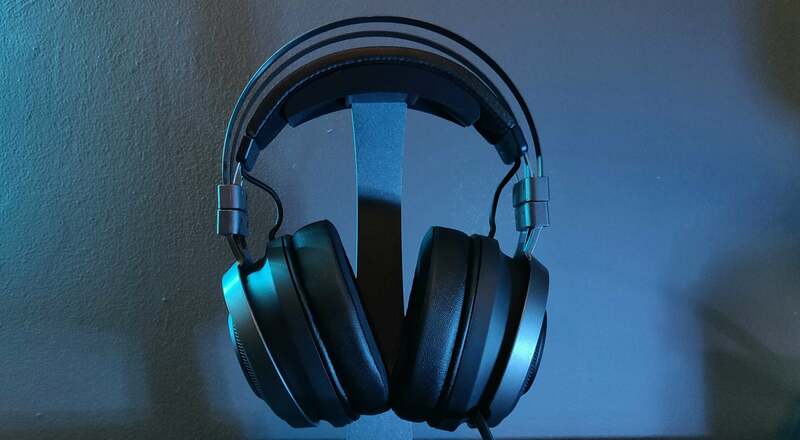 I actually reviewed one such headset a few years ago, the GX Gaming Cavimanus, and once upon a time Mad Catz also dabbled in similar ideas with the FREQ 4D. It’s a popular gimmick. What better way to make bass feel more intense than to literally vibrate your skull, right? Feel the explosions. Feel the gunshots. Feel the rumble of that V8 engine. The Nari Ultimate might be the first to make haptics feel like more than a gimmick though, for a number of reasons. First and foremost, Razer made a comfy headset. The Nari Ultimate lifts design cues from a number of Razer products without fully matching any. It uses the Thresher’s floating headband design, two metal arcs above another wrapped in both leatherette and sports mesh (on the inside edge). 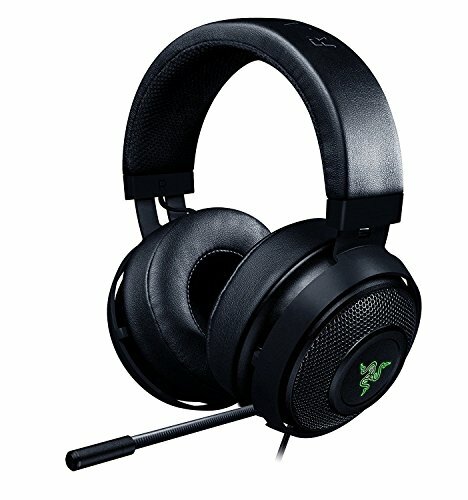 The earcups are similar to those of the Razer Kraken, generously padded and with cooling gel on the inside. And it’s a wireless headset, so the Nari Ultimate duplicates the on-ear controls from the Razer Man O’ War of course. It’s Razer’s most comfortable headset. Like all floating headband models, it can feel too loose at times—tilting my head forward or back results in noticeable slippage. But I can (and did) wear the Nari Ultimate all day long, no problem. The cooling gel is fascinating as well. Like built-in haptics, Razer isn’t first to this idea either—I know Turtle Beach did something similar a few years back, and I wouldn’t even swear that was the originator. The effect is subtle, but when you first don the Nari Ultimate the ears are noticeably cooler than the usual leatherette or sports mesh surface. Unfortunately the effect doesn’t last long. You’ve got maybe 15 or 20 minutes before the ears heat up to your skin temperature; taking the headset off for a brief period rapidly cools it again. Those dedicated to cold ears can also take the padding off and throw it in the fridge for a bit. And maybe you should, because if I have one complaint about the Nari Ultimate, it’s that once it heats up, your ears really sweat. Aside from its heat-trap tendencies though, the Nari Ultimate’s a smart little device. It even copies over one of my favorite tricks from the Man O’ War, which is that you can store the USB dongle in the bottom of the right earcup when not in use. As someone who’s lost quite a few dongles over the years, I’ll never stop being grateful for this small courtesy. The volume wheel rounds out the right ear, while the power button, MicroUSB charging slot, a 3.5mm jack, mic mute, and chat-mix are found on the left ear. But the haptics. That’s why we’re here, right? Sure it’s comfortable, and sure it’s got cooling gel in it, but those aren’t the features to justify spending $200 on a headset. Certainly not one by Razer. Even if you think Razer’s audio quality is worth $200 (questionable), you can undoubtedly get that same sound from Razer’s recently refreshed Kraken lineup or the lower-price Nari variants, all of which lack haptics. Razer calls it HyperSense. It was designed by Lofelt, a company experimenting in haptic effects for VR, phones, headsets, and more. 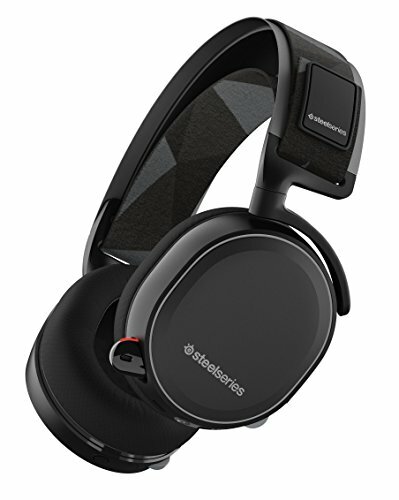 HyperSense differs from previous haptic-equipped headsets in two key ways: It operates across the entire LFE range of 20Hz to 200Hz, and it’s processed in stereo. What that means for you, the wearer, is nuance. A lot of haptic devices are binary, either on or off, but a few (like the Xbox One controller’s triggers) are capable of more sophisticated feedback—so you can for instance, as I said in the intro, tell when your digital tires have lost traction. The Nari Ultimate is the first headset I know of to fall into this camp. I find it easiest to notice in music, where there are a lot of easily distinguishable elements. You’ll get a thick oomph of haptic feedback for the kick drum, a rumble for any low-end synths, and maybe a bouncey bit with some haptic reverb for the bass guitar. And the Nari Ultimate’s drivers are sophisticated enough that it can layer all these different rumbles on top of each other. Jumping over to games then, maybe you drive around Forza Horizon 4 in an angry-sounding dune buggy, tires rumbling over dirt roads, and with the lush EDM soundtrack blasting above the din. Again, you’ve got three different sounds all contributing to the Nari Ultimate’s haptics in tandem. And as I said earlier, the Nari Ultimate works in stereo. That’s an important aspect to separating out the various elements as well, and one that’s not so prevalent in music (because low-frequency instruments are usually mixed in the center). So in Horizon you might feel the kick of the soundtrack’s bass drum in the center, and probably the engine most of the time. Turn to the right however, and you might feel that tire rumble slide in that direction—or vice versa, if you swing wide. It also comes into play in shooters. If you’re getting shot from the left, expect to feel a small kick on that side of your face. Intensity depends on the amount of bass, so a grenade going off will field a slightly larger kick usually, and so on. It’s a neat trick, and one I haven’t seen in other haptic-enabled headsets. My biggest issue is that the intensity of the haptics is dependent on volume. The louder the headset, the more intense the vibration—and Razer apparently wants you to go deaf. If you listen to the Nari Ultimate at normal, safe levels you will barely notice the haptics exist. Call me an old man, but protecting your hearing is important. There’s an option to crank the intensity in Razer’s Synapse software and I suggest you do so immediately. In my opinion it should default to a higher level, or at least not roll off the haptic effects so sharply as you decrease volume. As for the actual audio quality? It’s pretty solid. Razer’s sound profile isn’t my favorite, and the Nari Ultimate is certainly heavy on bass—probably to be expected, given the haptic effects. But both music and games sound relatively clear, with the mid-range and low-end coming through nicely. There’s a bit of a hollow feel to the center channel at times, but like the Man O’ War, the left/right stereo play is fantastic, and in games I find that’s usually a more important factor. Regardless, Razer’s slowly but surely closing the gap between it and companies like HyperX and Logitech. The microphone is surprisingly decent too. Voice reproduction is good, as is noise isolation. I miss the dedicated mic volume wheel from the Man O’ War though, and the mute button’s too small by half. The main sticking point is the price. The standard Nari (no surname), the mid-tier entry, runs for $150 and includes every feature from the Ultimate except the haptics. Is a bit of face-rumble worth $50? And for that matter, does the standard Nari compete with devices in its price tier like Logitech’s G533 and SteelSeries’s Arctis 7? I’d answer yes and no, respectively. The $150 Nari is a tougher sell, and I think you’re probably better going with the G533 or even the Arctis 7 (or a wired headset for half the cost). But the Nari Ultimate’s haptics are seriously neat. Still a gimmick? Sure, maybe—but one I could see taking off. The PC is desperately in need of some haptic devices that aren’t as goofy as the various vests and so-on out there. The headset seems like a smart place to start, and evidently a bunch of other manufacturers have agreed in the past. The Nari Ultimate is simply the first one that has the tech to make it stick. Feeling the rumble of a tank in the distance or a fat ol’ synth kick in—it’s completely unnecessary, even outright dumb at times, but adds a lot to the listening experience all the same.